As 2016 comes to an end we would like to reflect on the past years accomplishments and wish everyone a Merry Christmas and Prosperous New Year. During 2016, we have continued to invest heavily in training our increasingly flexible workforce. We successfully maintained our Quality ISO9001 status, and started preparations for achieving ISO14001 Environmental certification, with auditing being carried out during January 2017. This will help us improve our environmental performance through more efficient use of resources and reduction of waste, whilst gaining a competitive advantage and developing corporate image and credibility. During the coming year we will also be striving to achieve OHSAS18001 Health & Safety certification, demonstrating our commitment to caring for our employees, reducing risk of accidents, ensuring we continually improve our excellent management systems. 2016 also saw the introduction of Borehole Engineering Services new ‘Planned Maintenance Programme’ and Borehole Owners ‘Business Continuity Plan’, allowing our clients complete peace of mind. This allows BES to provide an even more professional service that’s second to none ensuring minimal downtime in the event of borehole failure. Drilcorp’s Geotechnical Exploration Services has gone from strength to strength after introducing Contracts Manager Scott Burt. The division have been working non-stop for many prestigious clients across the UK. To date all clients have been extremely satisfied with the quality of work completed. GES’s programme of works is now booked well into 2017. In 2016 Drilcorp’ s Hirecorp Services welcomed the arrival of our new HIAB loading truck the Scania R440 complete with the Fassi 270 crane and cheese wedge beavertail trailer. This also allows us to suite our own contract requirements providing a more cost efficient, quick, better and more flexible service to our valued clients. Hirecorp Services is now a member of the Road Haulage Association and is fully FORS compliant allowing us to take care of your logistical needs safely and efficiently keeping disruption to a minimum. 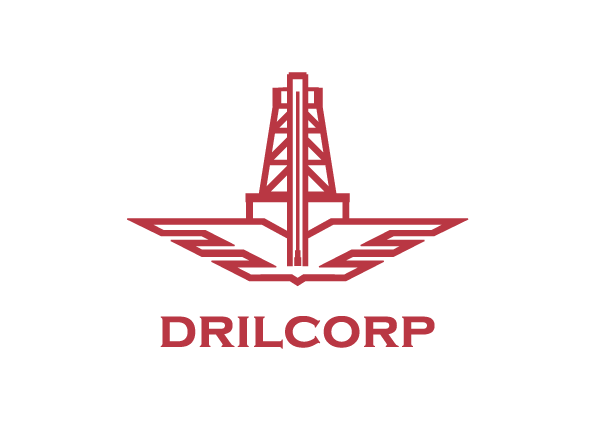 Drilcorp also likes to give a little something to help others and this year during May of 2016, Drilcorp was contacted by Professor Bob Kalin of Strathclyde University in relation to drilling projects in Malawi. Dave Gowans CEO of Drilcorp was invited to visit Malawi to investigate the needs. During his visit Dave had discussions with Malawi Drilling companies, seeing drilling operations first hand, and also attended meetings with key officials in ‘Water For People’ and the ‘Climate Justice Fund’ as well as Ministers in the Malawian water industry. He also gave a presentation at the 2nd Stakeholders meeting of the Climate Justice Fund held at the Malawi Sun Hotel. Since then Dave has returned to Malawi with a hands on approach and drilling works have been completed providing clean sustainable water for the community. Drilcorp’s other chosen charities for 2016 have been, The Foundation of Light. The foundation uses the power of football to involve, educate and inspire children and adults to help them realise their potential. Sunderland under seven’s rugby club, who are to date unbeaten this season! Seaham Amateur Dramatics who are dedicated to producing high class theatrical works for people from this area. Finally, ‘Safe Families for Children’ who are an amazing charity who helps families to stay safe in the community and provides for them when they are at their most vulnerable. This Year we helped to support three families by donating food hampers and Santa sacks full of presents. 2017 is already proving to be an exciting year ahead for Drilcorp. Due to continued growth we will be recruiting a new Depot Manager and yardmen who will make key decisions that will be influential to the development and success of Drilcorp moving forward. We will endure to support this growth with continued recruitment throughout 2017. Keep an eye on our website www.drilcop.com for recruitment news! Drilcorp will continue to follow its Best Practice Plan with the introduction of a brand new Performance Management System to promote and improve employee effectiveness, allowing employees and managers to work together to plan monitor and review work objectives and goals and overall contributions to the organisation. As we value our employees and believe that they are the most important capital asset which drives our business forward, 2017 will see continued success of our drillers and engineers through Drilcorp’s Drilling School. With an elaborate set of internal training courses focusing on all aspects of drilling water wells and the maintenance of existing wells, our employees are continuously advancing their skill set and industry knowledge. The New Year will see Drilcorp Join the Panel of the British Drilling Association. The BDA are committed to improving standards in health and safety, quality of workmanship and technical proficiency for the benefit of the drilling industry and its clients. Finally as this year come to a close and a new and busy one begins the staff of Drilcorp would like to wish everyone a very Merry Christmas and a Prosperous and Happy New Year!